The NGC F6 Leadership Forum class took their first field trip, on Monday, Oct 23rd, 2017. 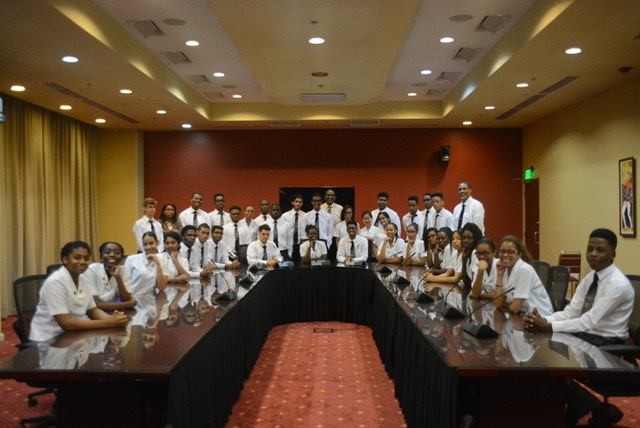 The Class visited the Republic of Trinidad and Tobago Parliament as part of their curriculum for term one. The students of F6, both lower and upper, were given a tour of Parliament and its chambers. Our guide, on this particular morning, was Ms. Melissa Griffith, the Director of Communication for Parliament. She wasted no time engaging our students as she tested their historical knowledge of the leaders of the Republic of Trinidad & Tobago. She provided our students with insightful details of session proceedings, the full chain of command for Parliament and clarified the election process for Representatives and the selection process for the Senate. The purpose of the field trip was to expose our students to the leadership process at the nation’s highest level, allowing them an opportunity to observe the system in progress. Although we were unable to visit Parliament in session, our students were able to spend some time with the Marshal of Parliament, Dr. Kirt St Bernard, and he exposed some of the inner workings of the system itself. 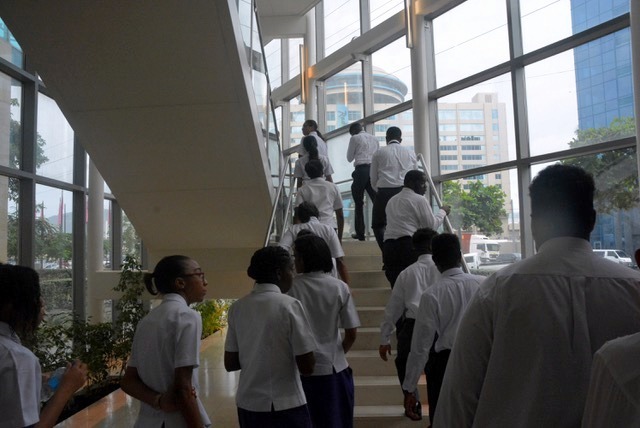 The students walked away with a greater appreciation for the ethos of Trinidad and Tobago as they learned more about traditions and the historical impact that still reverberates in existing structures. This trip created an excellent opportunity for these young leaders to engage in rich dialogue from this experience.